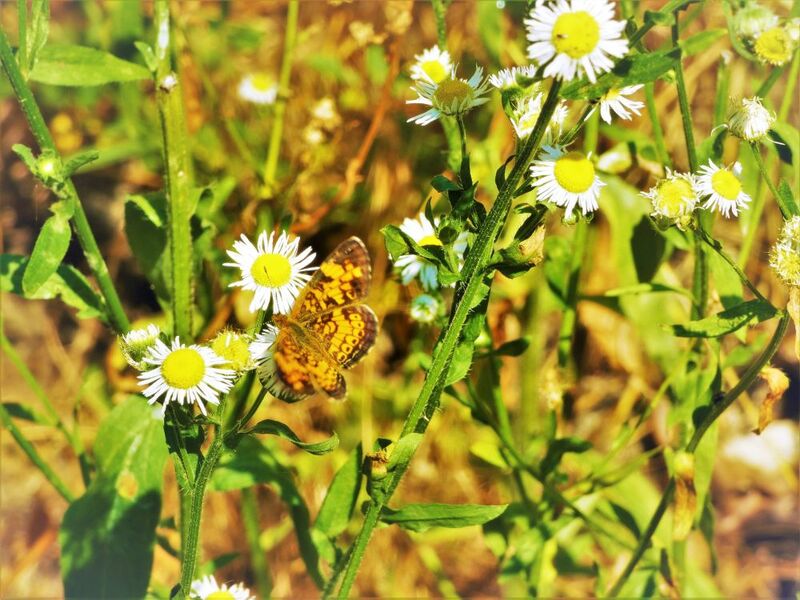 22nd: This lovely pearl crescent butterfly was seen a while ago gathering nectar from these flowers. 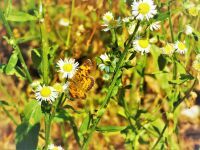 The Refuge is home to many butterfly and moth species, often the most colorful residents. 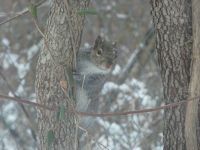 15th: This eastern gray squirrel was foraging for food a short while ago, in the snow. 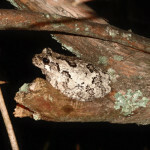 She was probably oblivious to just how cute she looked when she climbed this tree in anticipation of having to flee from us. 8th: This plant is in the St John's wort family. 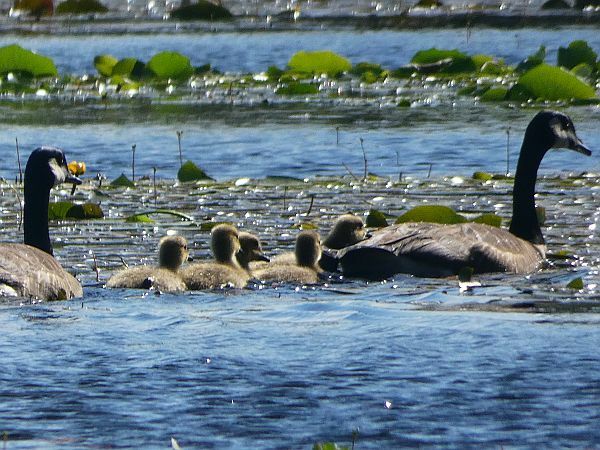 When Sage Russell visited the Refuge some years ago, he managed to get this lovely photo and shared it with us recently. Notice the delicate flowers giving the plant its name. 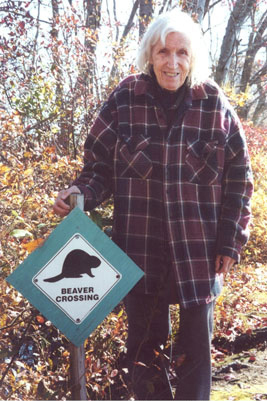 7th: Today is International Beaver Day; a day to celebrate and raise awareness of the plight of this iconic species. 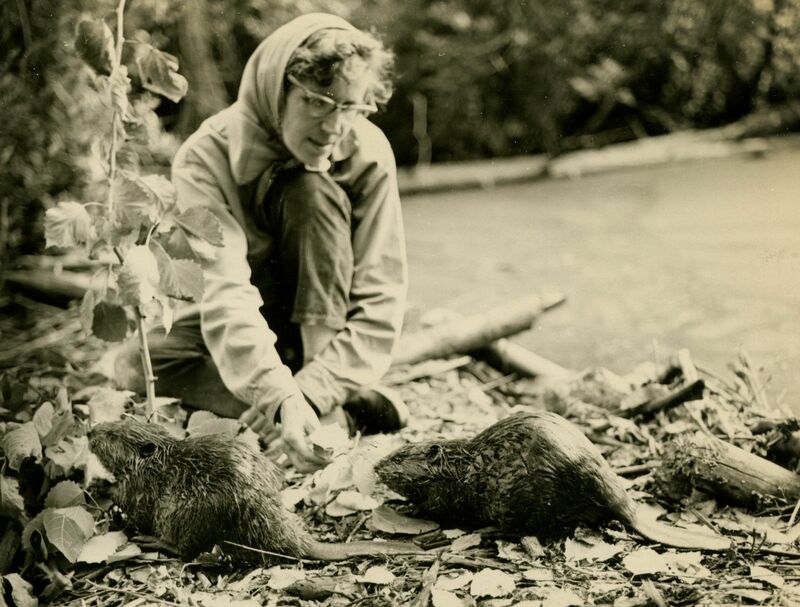 Hope Sawyer Buyukmihci, co-founder of the Refuge, was a tireless defender of beavers. She spent decades protecting these much-maligned individuals against those who condemned the species as a 'nuisance'. Due to Hope's and many others' efforts, the North American beaver is making a strong comeback, although sadly many continue to be killed. The critical role that this persecuted keystone species plays in maintaining the health of our ecosystem is increasingly being recognized. These original 'eco-engineers' dam rivers and streams, slow water flow, create ponds and help to reduce soil erosion and pollution. 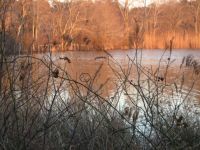 Along with other beaver defenders, we work with the public and local governments to peacefully resolve 'conflicts' throughout New Jersey, helping to ensure that beavers will continue to live and flourish. We are proud to continue Hope's legacy in providing a safe haven for beavers and to work hard to protect and promote these wonderful animals. 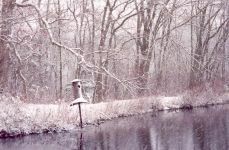 1st: While on patrol, Michael, our manager reached the river intersecting the Miller Pond and Unexpected Rd. 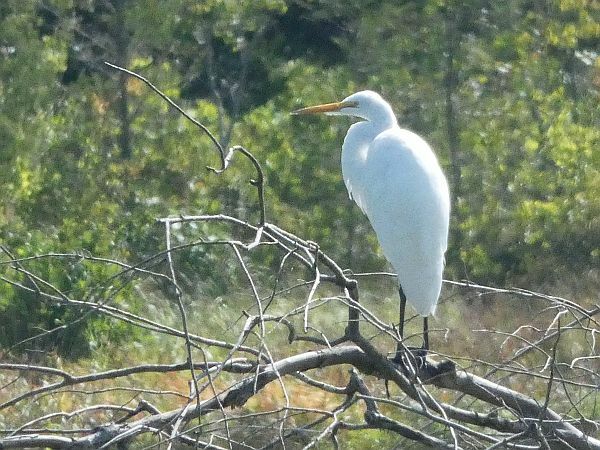 After an hour overlooking the lush native grasses, sedges, cattail colonies and numerous waterfowl, he noticed a dark form in the waterway. 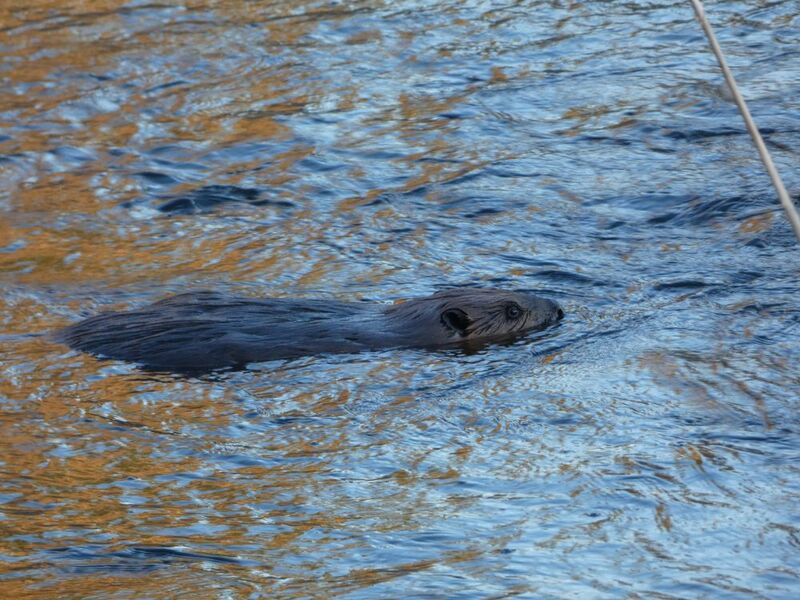 Quietly and effortlessly moving through the river was an adult beaver. 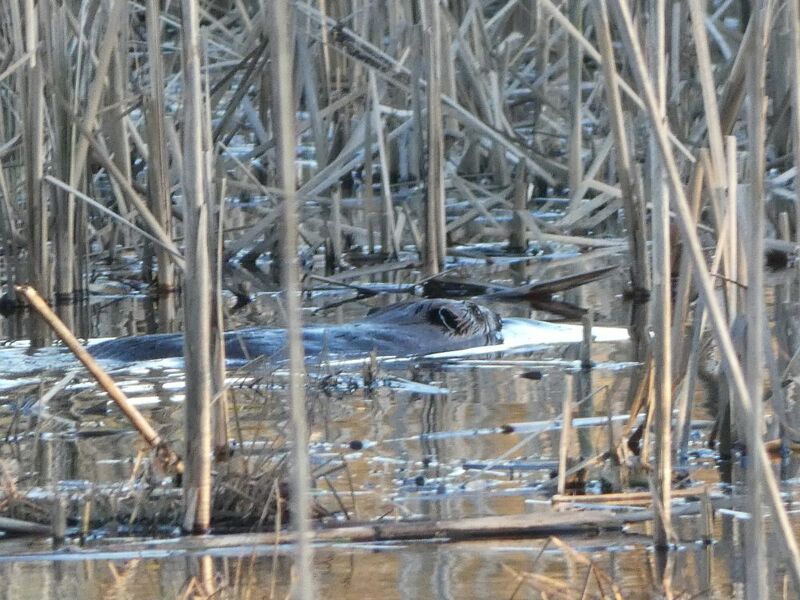 Seeing no reason for alarm, she went about her business of inspecting the area while Michael took photos, after which she swam slowly back into the reeds. 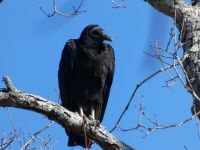 25th: This lone black vulture ( Coragyps atratus ) was seen in a tree near the main pond in February. 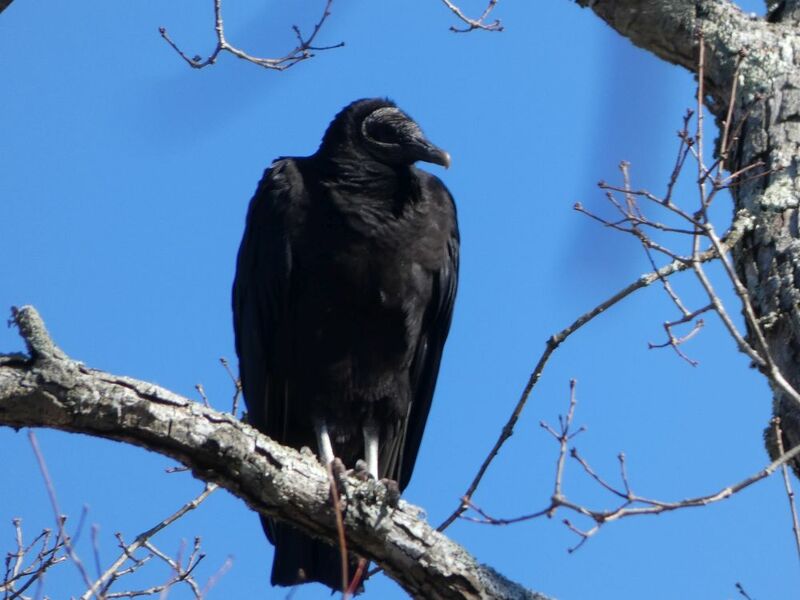 Also known as American black vultures, the Refuge is home to many of these large birds. 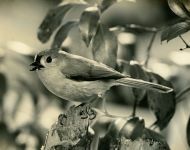 Although some people view them as 'ugly', we see them as beautiful, vital members of a thriving ecosystem. 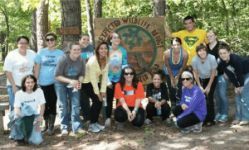 Unexpected Wildlife Refuge is supporting Animal Protection League of NJ with its campaign to defeat a deregulation that would undo previous reforms and laws. A3242/S2419 are bills that would expand killing and wounding methods for deer and other wildlife including: killing animals directly over bait at point blank range; killing deer any time of day or night; killing deer from vehicles, and jacklighting, or stunning deer with strong lights. 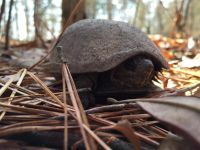 These anti-wildlife bills also include the "Multi-Species Depredation" Permit -- permits issued by the Division of Fish and Wildlife that "authorize agents of the owner or lessee, to kill any animal of a species listed in the permit which is on the land and known to cause crop damage". This could apply to a variety of species. Call Assembly Speaker Craig Coughlin's office (732.855.7441). Ask him to drop the bill from Monday's voting schedule. 23rd: We have two new entries in our 'Beavers in the News Media' page, articles by Ben Goldsmith and Brandon Hansen. 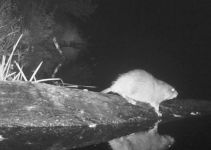 Choose Wildlife > Beavers from the main menu and click on 'Beavers in the News' or click here for direct access. 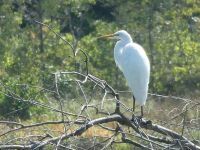 22nd: A delightful first-hand account of the history of Unexpected Wildlife Refuge by Dr Ned Buyukmihci, President and Secretary, has been published in SoJourn 3.2 Winter 2018/19. 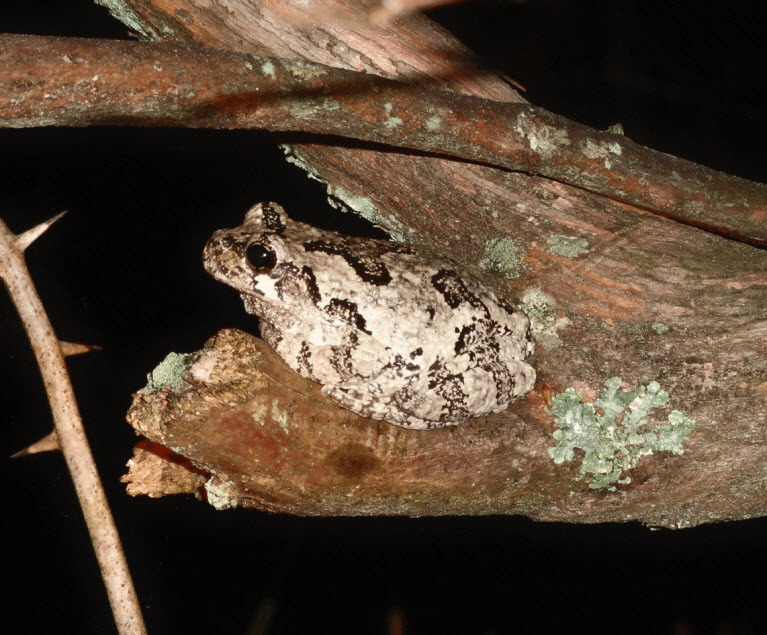 The article -- Unexpected Wildlife Refuge: Haven for South Jersey Wildlife -- is full of photographs and interesting anecdotes about this unique and fascinating protected habitat, home to endangered and threatened wildlife in South Jersey, like the gray tree frog pictured here. 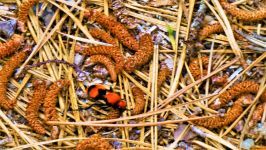 18th: Although taken some months ago, we thought this photo of a female red velvet ant ( Dasymutilla occidentalis ) would be nice to share as spring approaches. Bear in mind that these 'ants' are in reality a type of wasp. 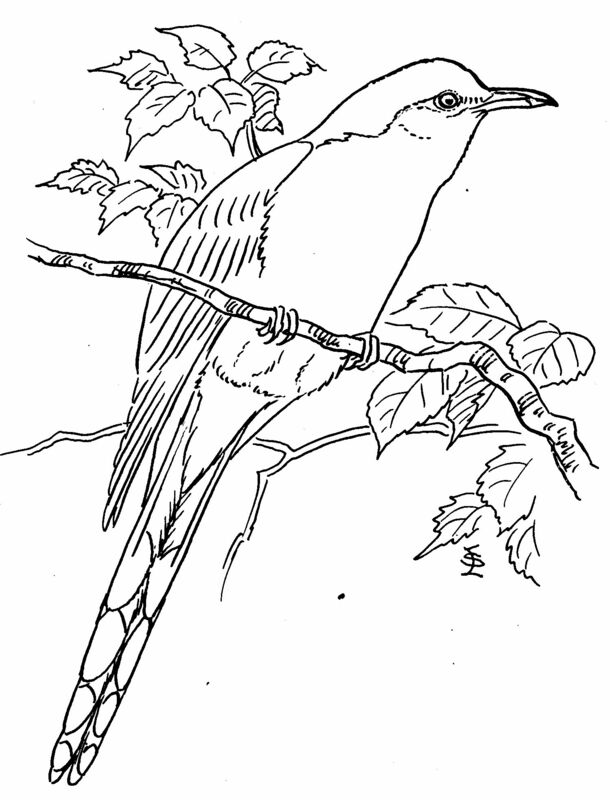 The female is wingless and looks like a large ant. 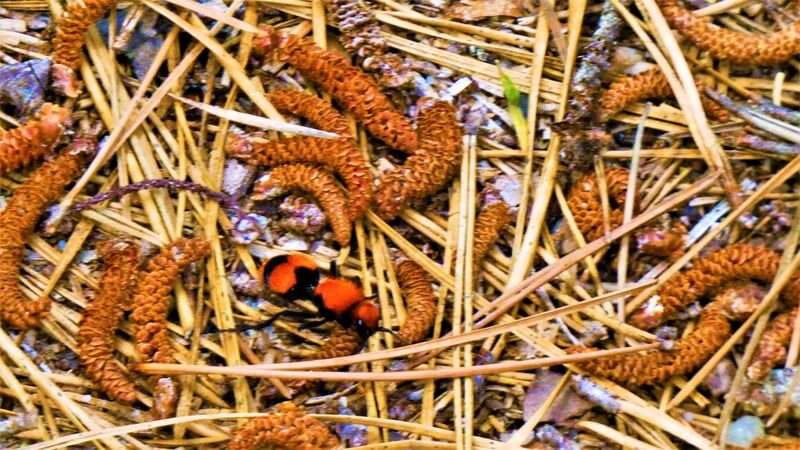 Also known as cow ants, cow killers and eastern velvet ants, they can deliver a very painful sting so 'watch, do not touch' (not that you should try to touch wildlife). 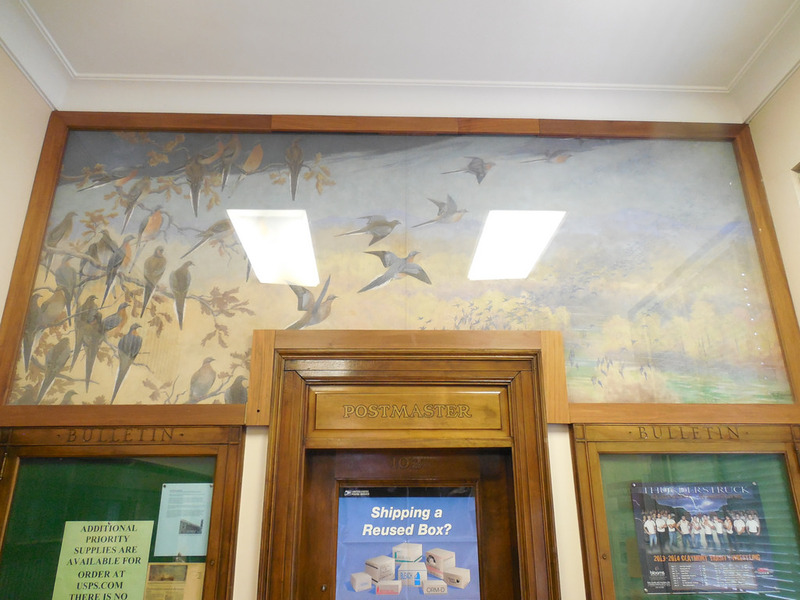 Unexpected Wildlife Refuge had a busy time yesterday at the annual Lines on the Pines event (Sun 10th March 2019). 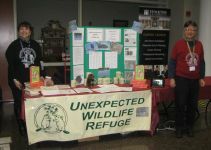 There was lots of interest in the work of the Refuge. Thank you to everyone who visited and supported our educational stand. 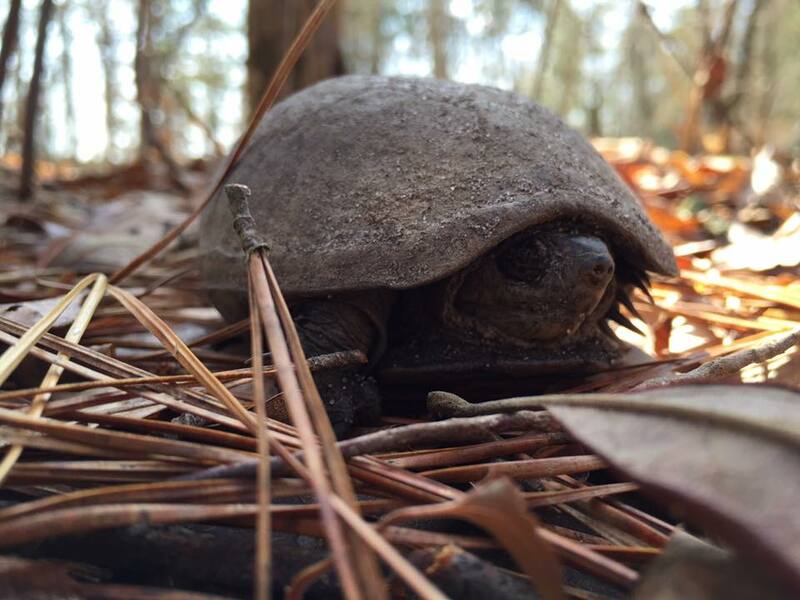 Join us this year on Sunday, 7 April at 11:00 AM, for Unexpected Wildlife Refuge's annual Earth Day Cleanup! 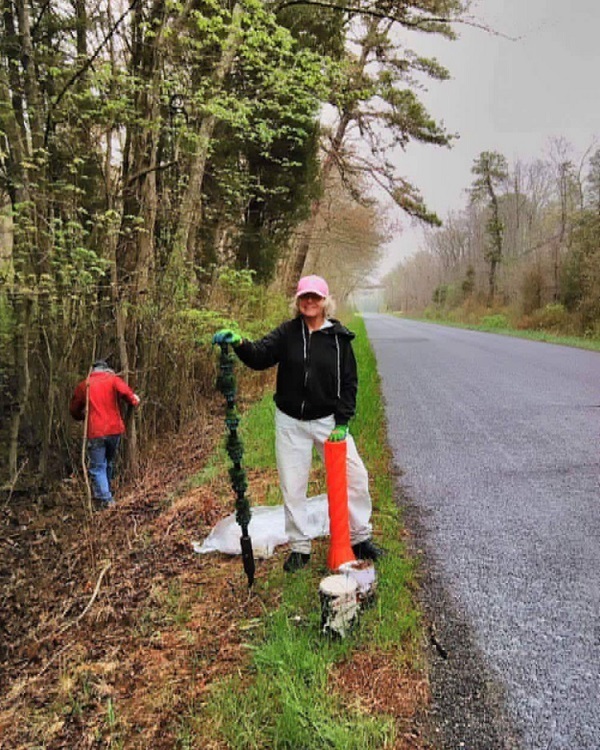 Armed with gloves and bags, we will meet at the Refuge and walk out to Piney Hollow Road to collect trash along a two-mile stretch that is adjacent Refuge trails. 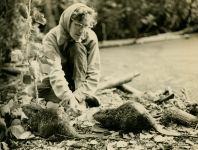 This is an important and long-time event for us -- the photo shows Paula Dean in 2017 -- not only to clean up our environment in general, but also to gather debris before it migrates into the Refuge. We pick up and cut plastic beverage ring holders, particularly hazardous for animals. Items that are recyclable are separated from others for proper disposal. Afterwards, we will meet back by the main pond for a potluck vegan lunch. To keep our expenses down, we ask that each volunteer bring one or more vegan items to share with everyone. Please, no beverages in plastic bottles. If we know ahead of time, we can provide a barbecue venue (a bag of charcoal would be appreciated). 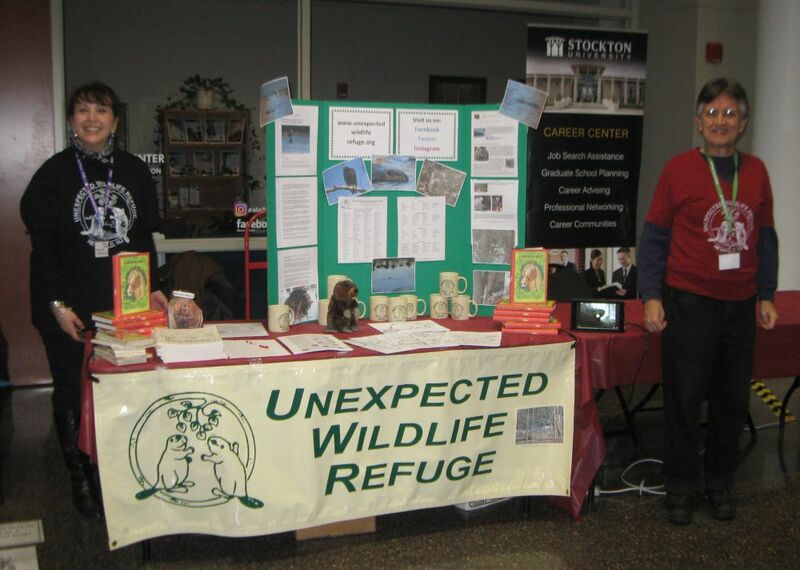 To RSVP, E-mail us at manager@unexpectedwildliferefuge.org or call us at 856.697.3541 before March 31. 11th: This lovely photo of a buttonbush ( Cephalanthus occidentalis ), was provided to us by Sage Russell. Also known as button-willow, common buttonbush or honey-bells, the buttonbush is an 'attraction' to various insects, birds and deer. You can see more photos of these plants at the Refuge on our "Plants at the Refuge" page. 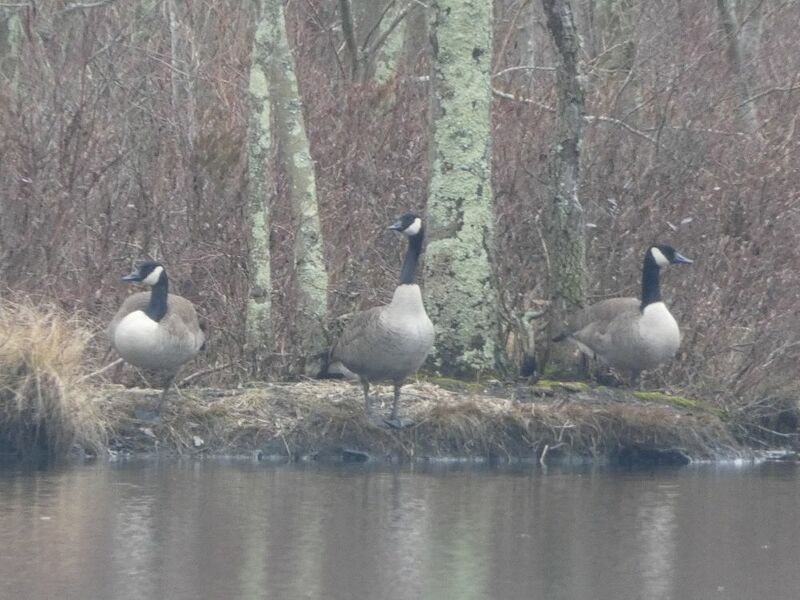 4th: Three Canada geese ( Branta canadensis ) hauled out of the freezing main pond to spend some time on one of the little islands, grooming and relaxing. 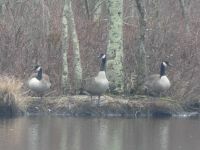 These geese are ubiquitous at this time of year and never fail to bring a smile to our faces. Other states to hold similar hunts this year are Delaware, Maryland, Vermont, New York, North Carolina, Pennsylvania and Virginia. 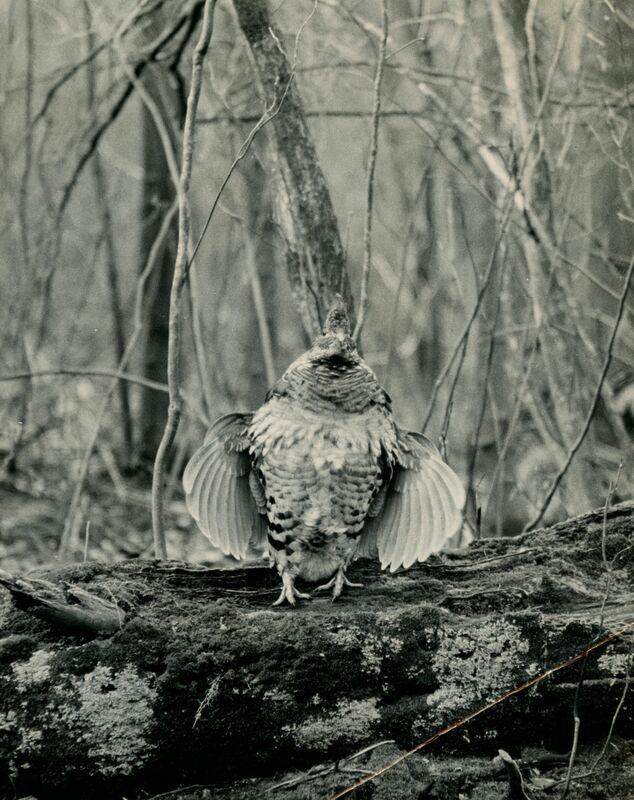 The Conservation Order allows an extended time period outside of traditional hunting seasons as well as additional methods for hunting these birds without bag limits; including the use of electronic calls, unplugged shotguns, and extended hunting hours up to 1/2 hour after sunset. Snow geese breed in Greenland, Arctic North America and Siberia -- some migrate south in the autumn to spend the winter on the Atlantic coast of the USA. 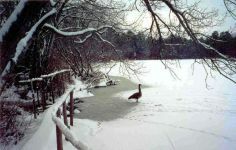 Snow geese often spend their winters at Unexpected Wildlife Refuge. The arrival of a flock of noisy snow geese at the Refuge is a welcome sight. Snow geese usually live in very large flocks; pairs mate for life and create very close bonds with each other and their young. 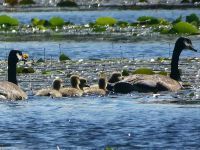 Families remain together through the youngs' first winter and can be identified as groups during both the southern and northern migrations. It is appalling to know that in New Jersey, and other states, members of these close families can be randomly blasted out of the sky. 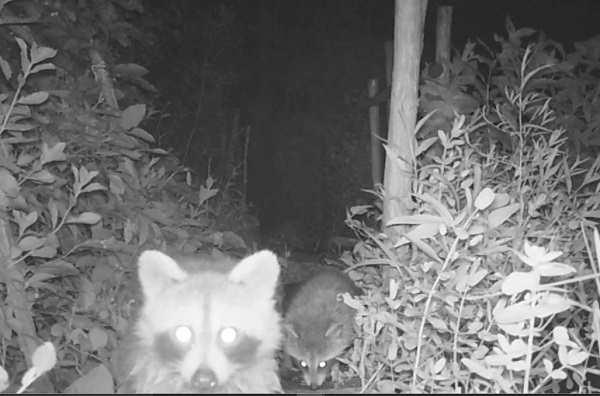 We do not know what can be done to prevent this, but you could contact the New Jersey Division of Fish & Wildlife and voice your objection so that at least they know not everyone agrees with their 'management' decisions. Contact information is here: https://www.state.nj.us/dep/fgw/contact.htm. 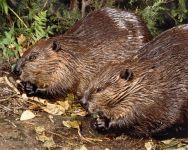 The Eurasian or European beaver ( Castor fiber ) is to be added to the list of European Protected Species of Animals in Scotland. From May 2019, it will become an offense to kill, injure or capture the animals. 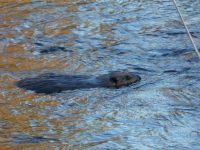 Beavers have been extinct in Scotland for around 400 years but, a few years ago, were reintroduced to Argyll and Tayside. 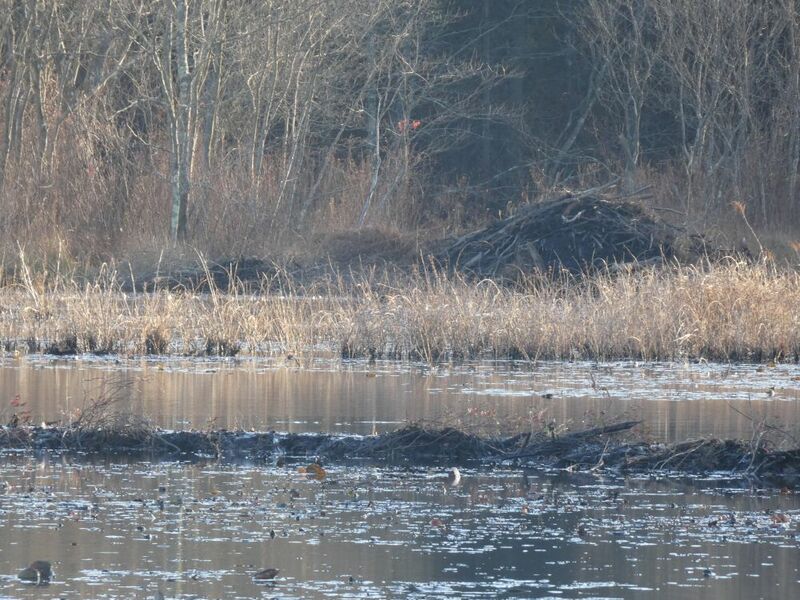 Under the new protection, beavers will now be allowed to expand their range naturally. 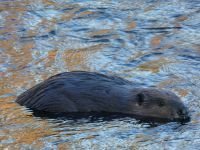 The Scottish Environment secretary Roseanna Cunningham said: The Scottish Government believes in the highest standards of animal welfare -- for both wild and domestic animals -- and we felt it was high time that beavers enjoyed the same legal protection as other species like bats, dolphins, wildcats and otters.' 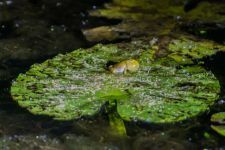 She said: 'There are few species that have such significant and, largely positive, influence on the health and function of our ecosystems. The importance of beavers to Scotland's biodiversity is huge. 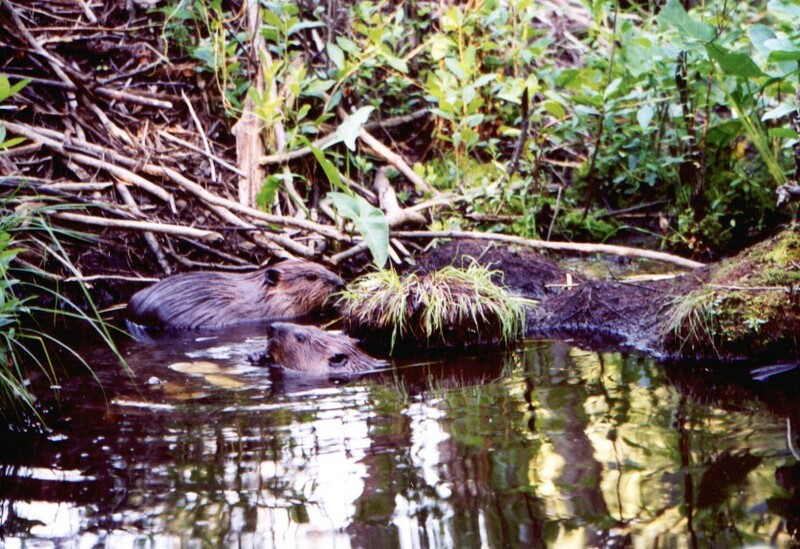 Unexpected Wildlife Refuge is delighted that the vital role beavers play in the world's ecosystem continues to be recognized. 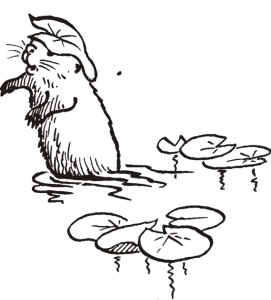 Beavers benefit nature and are important 'ecosystem engineers'; their activities can create wetland habitats and enhance biodiversity. 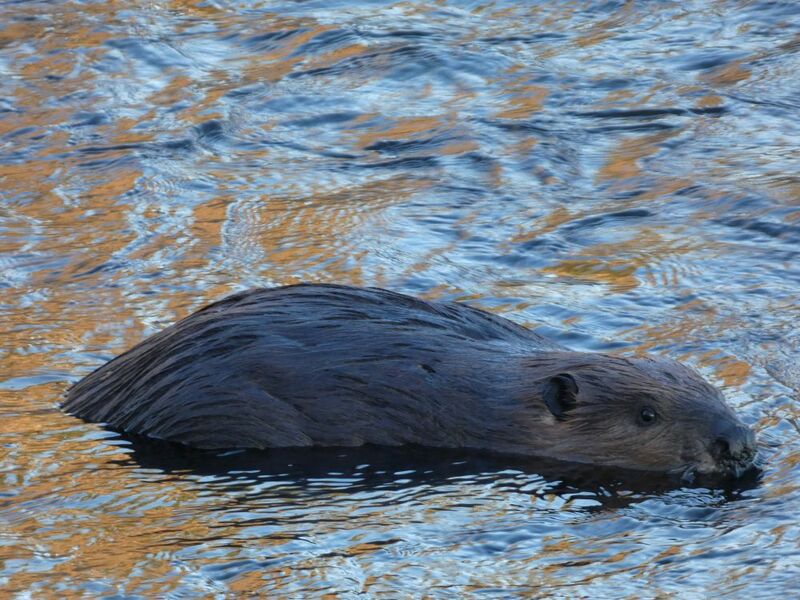 There has been widespread support for the decision for beavers to become a protected species. 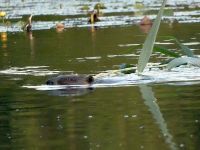 According to the Scottish Natural Heritage: The return of beavers to Scotland and their recognition as European Protected Species heralds one of the most significant changes to the natural environment in many years. 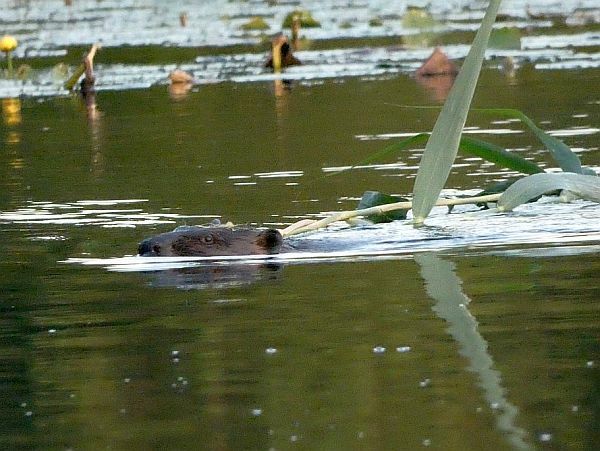 Barbara Smith, chief executive of the Royal Zoological Society of Scotland said: The granting of European Protected Status is a vital step in welcoming beavers back to Scotland as a natural part of our ecosystem. This is a milestone for the many of us who have worked together for years on the return of this species. 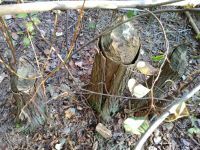 Scottish Natural Heritage will provide free and expert advice to help people who are experiencing problems with beavers and where possible to provide humane measures to minimize damage. 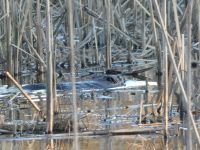 Sadly, for the beaver, this new protection will not prevent the granting of a license to use lethal means where there is considered to be no alternative. 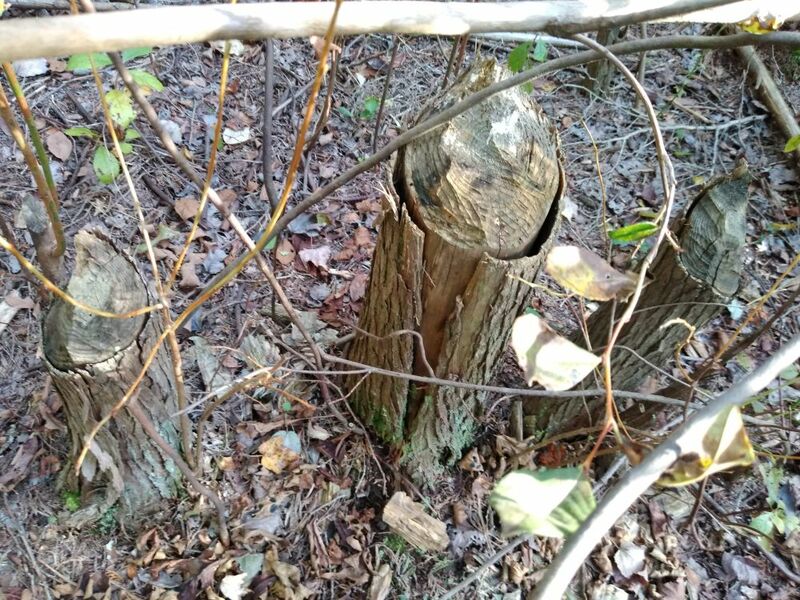 25th: These gnawed stumps were located many meters from one of the ponds. They serve to illustrate the industriousness of beavers in seeking food and building materials...as well as the powerfulness of their jaws and teeth in gnawing through wood. 18th: A telephoto image of one of the many bald eagles who live at or visit the Refuge. 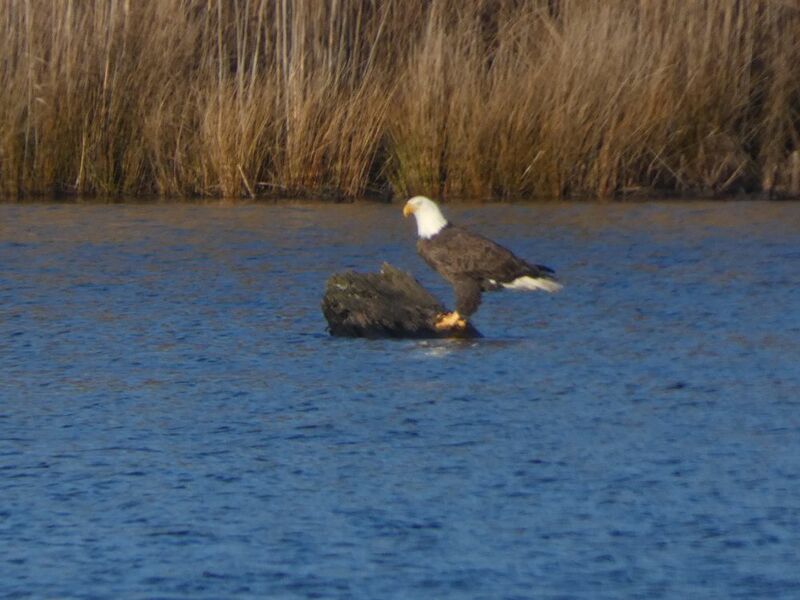 This individual was perched on an old tree stump in the main pond on a windy day. A challenge to New Jersey's bear hunt has been rejected by a state appeals court. 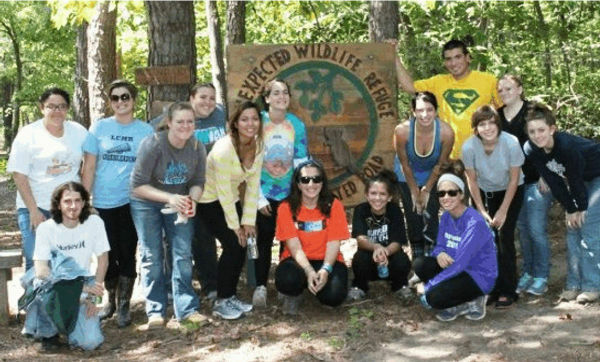 The challenge, brought by the Animal Protection League of New Jersey, The League of Humane Voters of New Jersey as well as several individuals, was an attempt to stop the implementation of amendments introduced in 2015 that added a second annual hunt in October to the existing hunt in December, allowed bow hunting and increased the number of hunting permits. 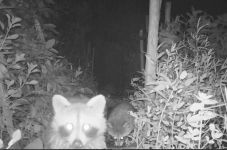 Angi Metler, executive director of the Animal Protection League, told the New Jersey Herald: "Non-lethal black bear conflict management is key and the future, no matter what the courts say," she continued. "We're not giving up until that day arrives." 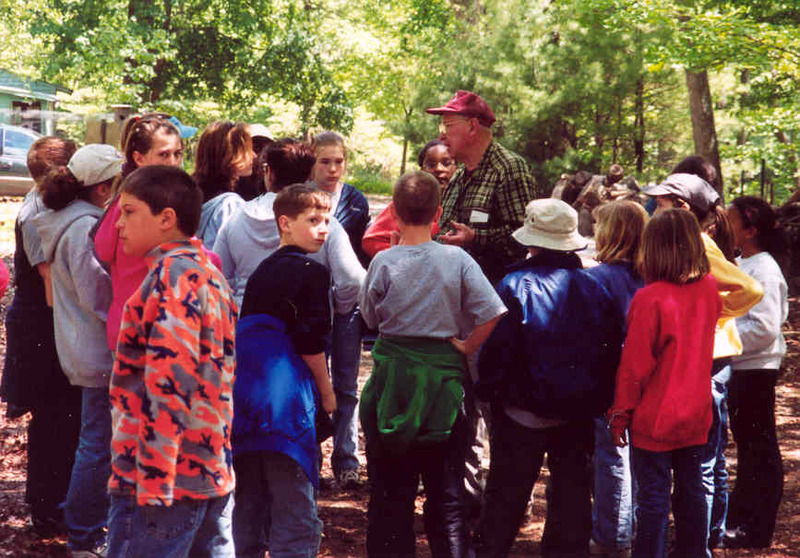 Bear hunting in New Jersey was reintroduced in 2003. In 2018, 140 bears were killed in October and 85 in December. Governor Phil Murphy made a promise to impose a moratorium on bear hunting when he took office, but has failed to deliver. To date, he has stopped bear hunting on public land only. Bears can still be tormented and killed on private land. The annual slaughter of these majestic and sentient animals must end. Please continue to call (609-292-6000) and tweet Governor Murphy urging him to end bear hunting on all lands in New Jersey (@GovMurphy promised to cancel the #bearhunt). 11th: If you look closely at the encircled portion of this photograph by Dave Sauder, one of our Trustees, you will see a stout turtle head. 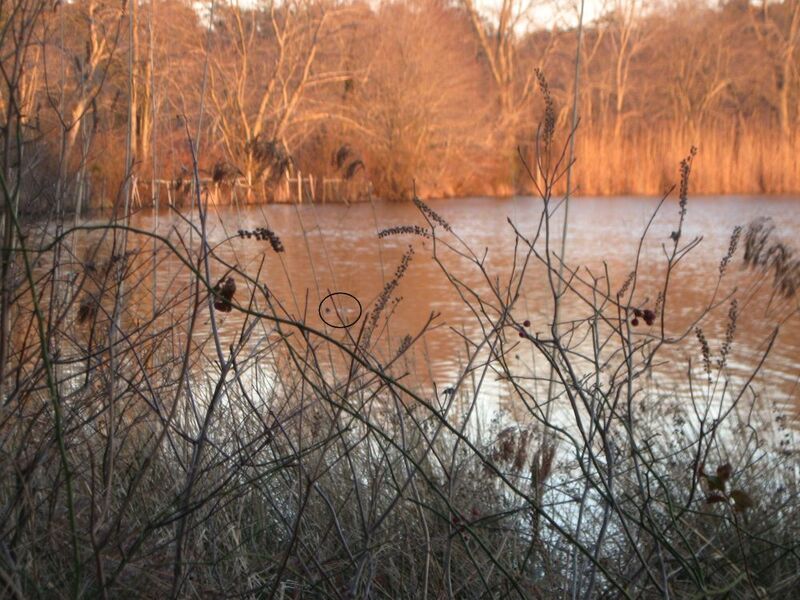 Dave was visiting the Refuge in January and saw several common snapping turtles swimming in the main pond. His observations remind us that these turtles are 'cold-tolerant' and can be active all winter long. 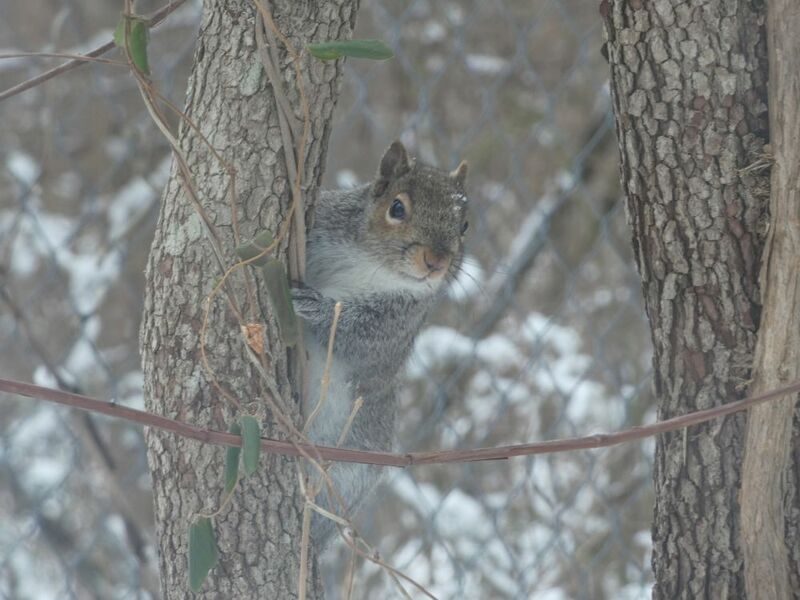 Winslow, New Jersey, is allowing a squirrel killing contest. Billed as the "First Annual Family Squirrel Classic", it is giving trophies and prizes to those, including children, who kill the most squirrels. This brutal and inhumane 'event' is scheduled for Saturday 16 February 2019. 4th: Another nice photo of plants at the Refuge, provided by Sage Russell. This one is of wild sarsaparilla, circa 2012. 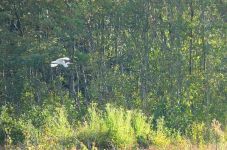 28th: A long-distance photo of a great egret flying near the outer border of the main pond during a fall day. 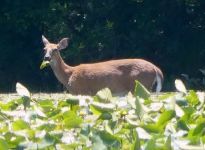 26th: Please sign and share this petition to stop the killing of deer in Essex County Parks (South Mountain, Hilltop, and Eagle Rock Reservations), New Jersey and instead adopt humane methods to deal with wildlife-people conflict and population control. The petition has been started by the League of Humane Voters, New Jersey. 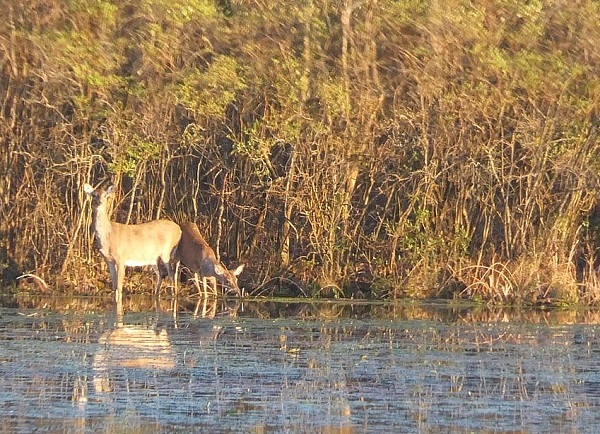 White-tailed deer are one of the most easily recognized wildlife species in New Jersey; many of whom live at Unexpected Wildlife Refuge. Sadly, they are also one of the most persecuted species, cruelly hunted and killed with bow and arrows, shotguns and muzzle loading rifles. Land's End, a residential community in East Texas, has started to trap wild deer in nets to be taken away and slaughtered. Deer are highly nervous animals and prone to stress and shock during capture. This is an inhumane way to address human-wildlife conflict. 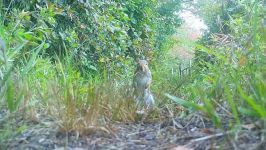 We urge the Land's End Homeowner's Association to stop this cruelty and instead to adopt humane methods. 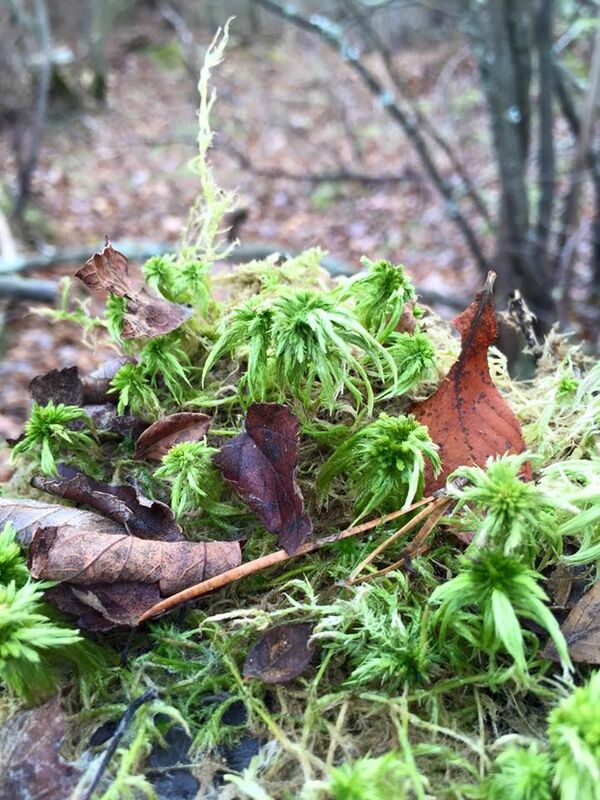 21st: We recently received a group of images from Sage Russell, of plants found at the Refuge. Although these are from several years ago, they are excellent photos of plants that live here, like the tall beaksedge pictured here. Wyoming allows 'yote whackin', a cruel and brutal practice that includes coyote killing contests and the chasing and killing of coyotes with snowmobiles. Coyotes are hunted all year in Wyoming. Considered a predatory animal in the State, no license is required to hunt them. 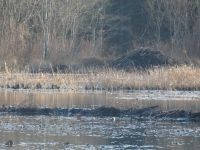 14th: This beaver lodge is on the far side of the main pond. 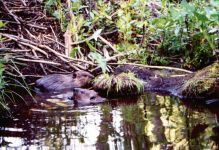 Our habitat continues to entice beavers to stay and raise families. 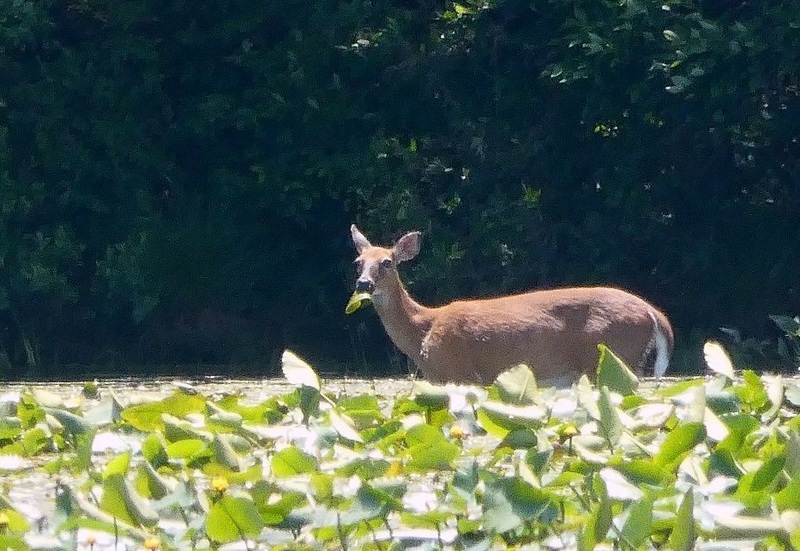 Unexpected Wildlife Refuge provides a safe haven for white-tailed deer, one of the most easily recognized wildlife species in New Jersey. 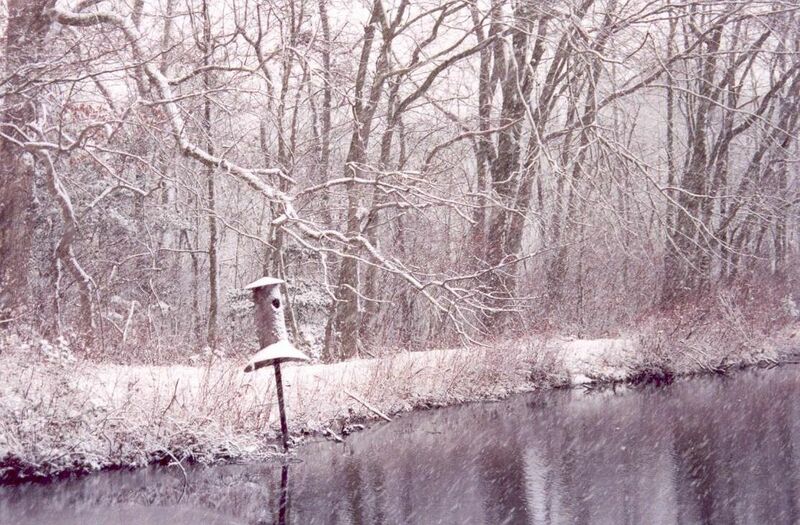 Shockingly, however, deer can be hunted and killed in 500,000 acres of state-owned public open space in NJ. Hunters are permitted to use not only shotguns, but also archaic and particularly cruel bow and arrows and muzzleloading rifles. They are allowed to spend over 100 days slaughtering these shy, elegant and engaging mammals. During 2017-2018, a staggering 48,545 deer were killed in NJ. This slaughter continues into 2019. Location: 560 Northfield Ave, West Orange, NJ (on the grassy surface, curbside, adjacent to the entrance of Turtle Back Zoo). 7th: From earlier and warmer days at the Refuge, a bumblebee was gathering food from this buttonbush.